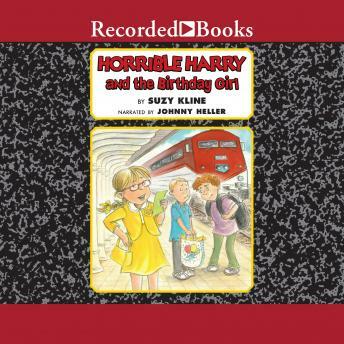 In the 34th Horrible Harry book, Mary's plans for a perfect birthday party go horribly wrong. Can her friends save the day? Mary has every part of her ninth birthday party planned: she and her friends will take the train to the park to see an outdoor concert and play. But when the train gets delayed, her perfect day turns into a disaster! Fortunately, Doug, Harry, and the rest of the gang are there to throw Mary a surprise birthday parade, and everyone learns that sometimes even when things don't go the way you planned, you can still have a good time.